Northern Visions has won the licence to run a local digital television service for Belfast, which it is expected to launch in autumn 2013. The non-profit media and arts organisation successfully bid for the licence following a local television initiative led by the former British culture secretary, Jeremy Hunt, to provide local television content that meets the needs of local people. 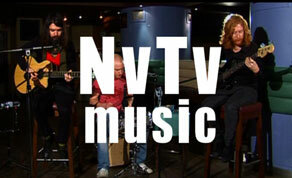 Prior to winning the digital licence, Northern Visions has broadcast in Belfast online and on analogue TV since 2004 as NvTv. Simon Wood, chairperson of Northern Visions, said the organisation was “delighted to be part of this new and exciting venture across the UK”. He added: “We look forward to making local television on digital terrestrial television a reality for Belfast. The new channel, NvTv, will be carried on Freeview Channel 8”. NvTv will go off air next Wednesday (October 24) following the digital switchover. However, it will continue to broadcast online over the coming months.